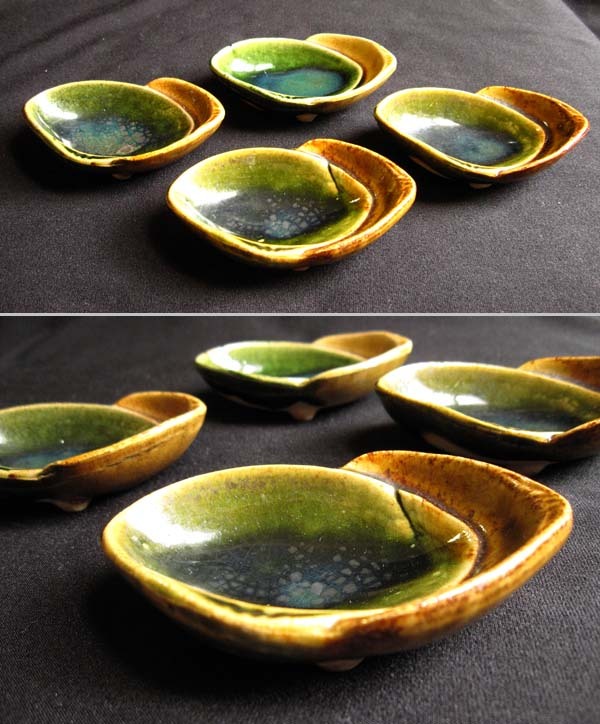 Set of 4 adorable old Oribe mamezara (literally, bean plates). Mamezara are smaller and more rare than kozara (small plates) and are also typically more expensive. These have tiny feet that raise them elegantly off the table. 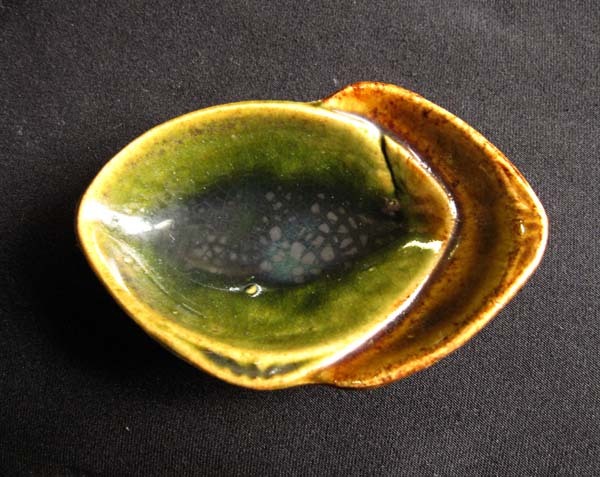 The deep copper green glaze is of a particularly good quality, with a beautiful iridescent blue sheen. The age is not known and there is no box. Mamezara can be used for salt, pepper or spices. Condition: Good. 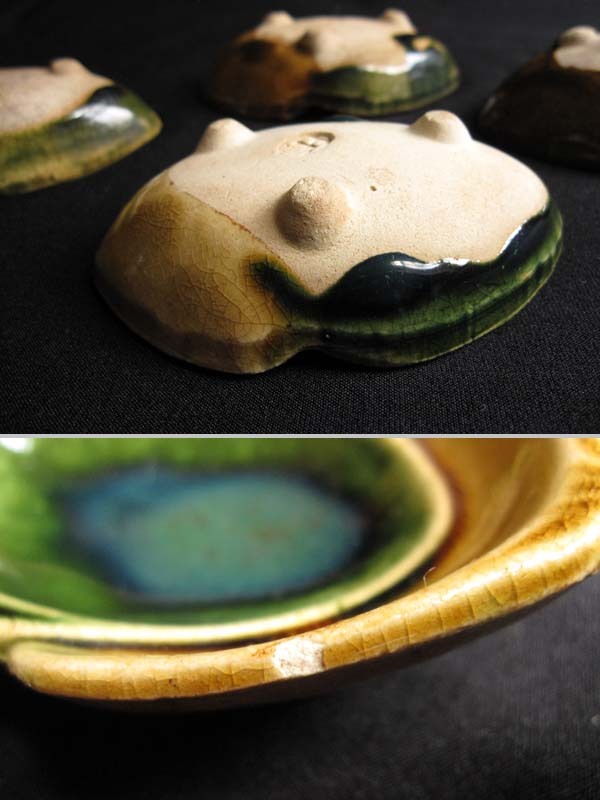 The glaze shows slight wear, and one mamezara has a small rim chip as seen in the photo.